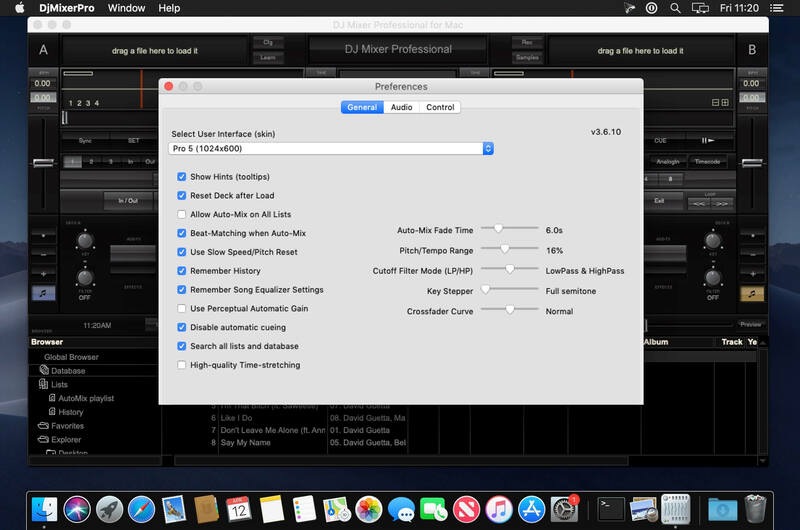 DJMixerPro is powerful, full-featured DJ mixing software for amateur, bedroom and professional DJs alike. This advanced DJ software provides an easy-to-use interface and a range of advanced DJ tools which makes mixing your music and video easy. You have 2 or 4 decks, an advanced mixer, and playlists/database. Complete automatic or manual mixing, beat-matching with a single click, seamless live looping, track-mixing in perfect sync, advanced BPM detection, keylock, video mixing, HD time-stretching, visually beat-alignment, compatibility with iTunes playlists, lots of effects, and many other features. 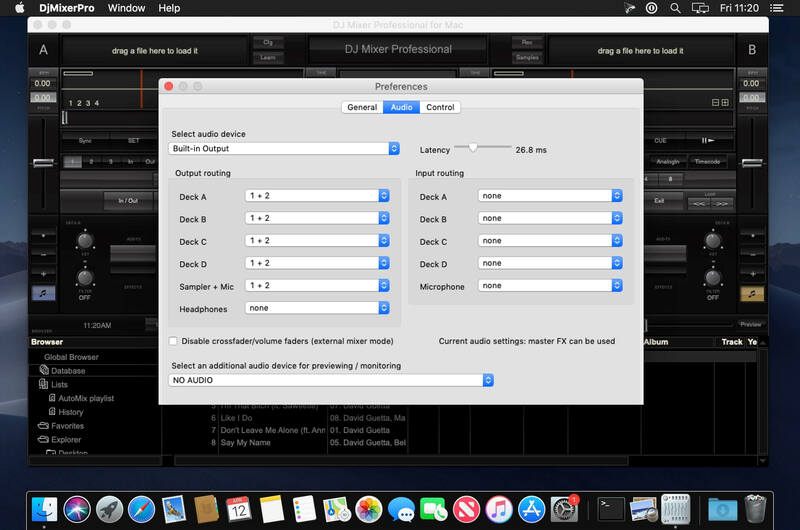 DJMixerPro supports over 90 of the most popular MIDI devices–virtually any MIDI device is supported via built-in presets and the "MIDI Learn" feature. 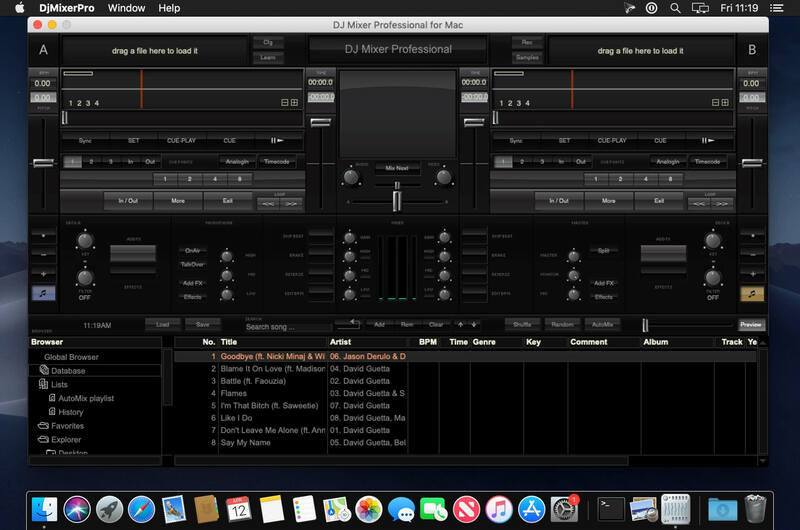 DJMixerPro is best choice for club DJs, mobile DJs, video DJs and entertainer. Also great for Discos, Pubs, Night Clubs, Restaurants and even Retail Stores as an automated music/video system. fixed crash when playback video on Windows 10. Now fully compatible with macOS 10.14.4 Mojave.